OTTAWA – Retailers may be forced to raise their prices on furniture, mattress and major appliances imported from the United States as the Government of Canada has imposed retaliatory tariffs on a wide range of goods as part of the ongoing dispute with this country’s largest trading partner. As has been well reported, the government took the action in response to the current American administration’s decision to impose tariffs of 25% on Canadian-made steel and 10% on Canadian-made aluminium. The new retaliatory tariff regime came into effect on Canada Day as part of what many are calling a trade war many experts believe will last at least after what the Americans call their mid-term elections this coming November and a new North American Free Trade Agreement (NAFTA) is ratified. The list of retaliatory tariffs on big ticket items published by the Department of Finance includes: upholstery, mattresses, refrigerators, ranges, dishwashers and washing machines – all of which will be subject to a 10% tariff effective immediately. In all, the retaliatory tariff is targeting $16.6 billion in goods exported annually from the U.S. into Canada. The tariff is applied not on the retail price, but on the wholesale price declared by vendor as it crosses the border. Last year, Canadian furniture retailers imported some $332.4 million worth of upholstery from the U.S., which was down from $354.6 million in 2016 and $389.5 million in 2015, according to data published by Industry Canada. The U.S. is the second largest importer of upholstery into Canada behind the People’s Republic of China, whose imports were valued at $692.0 million in 2017. There is not a lot of international trade in mattresses. However, the U.S. is the largest importer of mattresses into Canada, which were valued at $121.9 million last year – up 13.5% from 2016 and accounting for 50.9% of all mattress imports which were valued at $239.6 million. Mattress imports from China were valued at $60.9 million, according to Industry Canada. However, there has been a noticeable surge in mattress imports from the U.S. in recent years. It should be noted upholstery and mattress imports from the People’s Republic of China are subject to a 9.5% tariff under the ‘most favoured nation’ (MFN) status they enjoy under World Trade Organisation (WTO) rules. Major appliances are no longer made in Canada, so all the big white goods players – particularly those with manufacturing plants in the U.S., such as Whirlpool, G.E., Electrolux, among others – will be subject to the tariff to at least some degree. Last year, imports of all categories of major appliances were valued at $1.52 billion. Of that, Industry Canada says some $581.5 million came from the U.S. Most observers agree the product categories placed on the list by the government are there for a specific reason – to encourage leading members of the U.S. Congress to bring some semblance of reason back to the negotiations. For example, upholstery is probably on the list because Ashley Furniture Industries is in Wisconsin, the state represented by Paul Ryan, the outgoing Speaker of the House of Representatives. While there is no specific data available, Ashley is believed to be one of the largest single exporters of upholstery in Canada, followed by La-Z-Bay, the publicly-held furniture maker with factories in five states including Missouri, Mississippi and North Carolina. It closed its only Canadian factory in 2005. 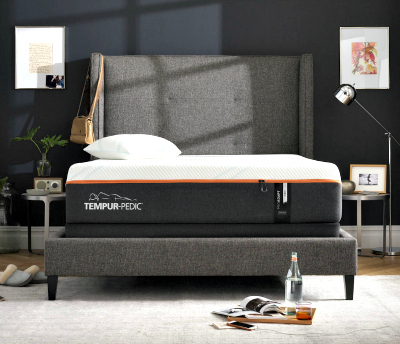 Mattresses are probably on the list because every Tempur-Pedic mattress sold in North America is manufactured by Tempur Sealy International at their factory in Kentucky, the home state of Mitch McConnell, the majority leader of the U.S. Senate. In its submission prior to the imposition of the tariffs, the Retail Council of Canada (RCC) said while it was generally supportive of the government’s aims in securing a new long-term trade agreement with the U.S. and Mexico, it did point out some trouble spots particularly for upholstery and major appliances, noting there are limited sources of supply for both these product categories. It also described furniture as being a case of “out of the frying pan and into the fire” – meaning price increases to consumers are inevitable at some point. RCC is also concerned the 10% tariff on major appliances could approach or exceed $100 per unit, which could potentially lead consumers to deferring their purchases which would negatively impact retail sales. “Insofar, as major appliances are often bought together for new homes or renovations, the one-time hit to individual consumers and families could be quite substantial,” the council noted. RCC also noted white goods from Asia are already subject to 8% MFN tariffs, particularly on fridges and washing machines. Furthermore, the tariff on appliance parts could unfairly penalise consumers in their effort to maintain their existing household appliances. While mattresses are not as import-dependable as a product category, the RCC does have some concerns. “If retailers are effectively limited to Canada and to a much smaller degree Mexico for substitutable, tariff-free products, we can expect to see price inflation on mattresses and bedding from those sources,” it said. Editor’s Note: Home Goods Online will be following developments on the trade file as they occur.